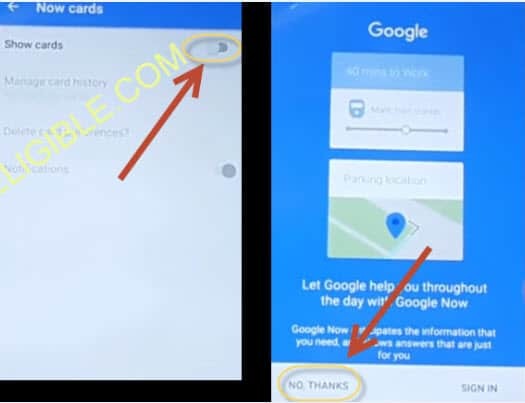 If you are getting a message to “verify your account”, and you have forgotten google account password, and its impossible to recover your google account, so you have come on right website to bypass Google Account HTC. 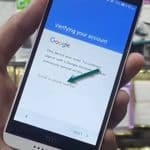 You must need “WIFI CONNECTION”, in your HTC Device to Bypass Google Account HTC, if you don’t have router at your home, no problem, use your other mobile to have HOTSPOT turned on, so that you could have wifi connection in your mobile. 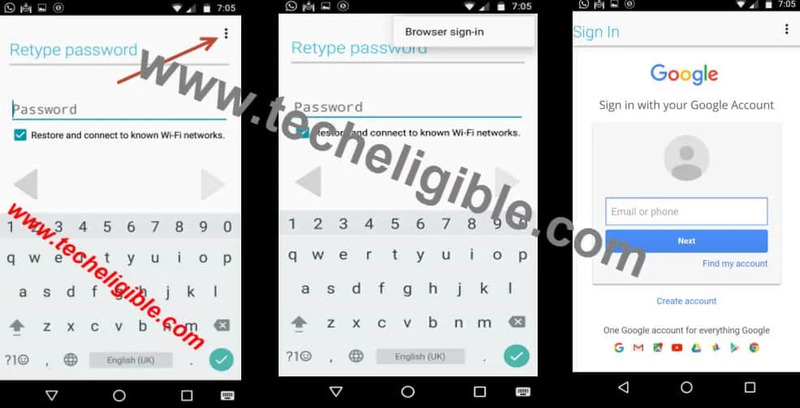 -Connect “Wi-Fi” in your HTC device, now tap on “NEXT”, then tap “OK”. -Now from “Verifying your account” screen, tap on “Enter your Email”. -After that, keyboard will appear, long tap on “SETTING ICPM” until “HTC SENSE INPUT SETTINGS” appears. -Tap on “personal Dictionary”, and then tap on “HTCVR”, after that from “EDIT WORD” pop up screen, Long tap on “HTCVR words”, till (CUT, COPY, SHARE) options display. -Then tap on “SHARE”, after that, in the bottom, some apps will popup. -Tap on those “3 DOTS” from top right corner, and then select “MANAGE ACCOUNTS, then “Continue”. -Now find “Google” and tap on “Google”. -Tap on “SEARCH & NOW”, then hit “NOW CARDS”, and after that, enable “SHOW CARDS”, and then tap “NO THANKS”. -Type in search bar “GOOGLE”, then hit “ENTER”, and then select “GOOGLE CHROME”. -Now you will have a screen like “Set Up Chrome”, from bottom, hit over “NO THANKS”, to bypass this screen, so now you have opened successfully GOOGLE CHROME, in your HTC device to Bypass Google Account HTC, we did this all so far to open this GOOGLE CHROME app, so that, we could download some apps in our mobile to accomplish our bypassing google account process. 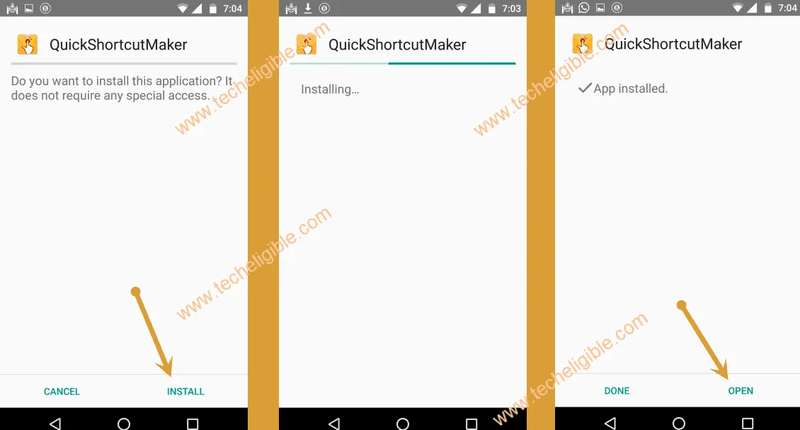 -Now you have to download “QUICK SHORTCUT MAKER APP”, for that type in google search bar “Download FRP Tools techeligible“, and then scroll down, there you will find “Quick shortcut maker” app to download, just tap on that to download. -Once downloading finish, we have to open “Quick Shortcut Maker app” in your mobile, for that we need to go to our “Download” folder, so let’s go there, tap on “BACK” from your android device to go back, till you reach to “SHOW CARDS” option, then from there again enable “SHOW CARDS”, then tap on “NO THANKS” from Google. 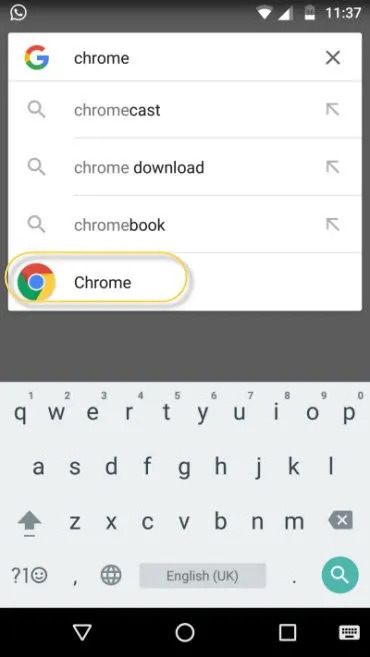 -Type in search bar “DOWNLOAD”, tap on “Download” icon to open download folder. -Now tap on “Quick Shortcut Maker”, which you downloaded already, after that you will get “Installation Blocked” popup, so tap on “SETTINGS”, and enable “Unknown Sources”. -Tap on “Quick shortcut maker”, then tap on “Install”, once installation done, tap on “OPEN”. -Type in search bar “Google Account Manager”, tap on google account manager to expand it. -Select one “Goolge Account Manager” that appears with “Type Email & Password”. -Tap on “3 dots” from top right corner, select “Browser Sign-in. Select your Language > START > tap to down ARROW to appear next option, then tap on “NEXT > NEXT > OK > NEXT > SKIP FOR NOW > tap to DOWN ARROW > FINISH. 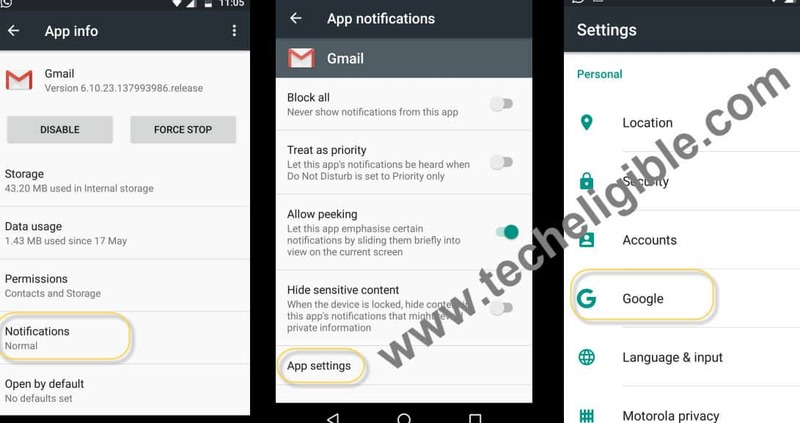 Final Step: Now you have accessed to your HTC device, do follow some more steps to finish this complete Bypass Google Account HTC device. Follow below steps. -Go to MENU > SETTINGS > Backup & Reset > Reset Phone > OK > OK, now your mobile will start reseting, and it will restart once finish reseting process, then you will have “INITIAL SETUP” in your mobile, and you have now successfully done to Bypass Google Account HTC Desire M9, M8, 530, 630, 825, A9, HTC 10, Nexus 9.
did you install “Google Acc Manager” first ? Hi, when i expanded Google account manager, it didn’t have type email and password under it. Hey i got htc desire 520 and i have the same problem as i can’t share because there are no option for it. Please give me any advice. I got a HTC m9 and I can’t share it because I can’t see this option anywhere. what is android version ? HTC Nexus 9 Table running OE Android 7.1 and Google Account Manager/Type Email and Password is not an option for me. Need this tool because I reset my tablet but I am locked out and have been trying for weeks to get my tablet functioning again. Thank you for the response. This method almost worked, but the “Setup” app isn’t on my tablet. Tried using the suggested “Setup Wizard” and the tablet will not progress “Checking for updates”. I feel like I’m almost there and tiny nuances are making this feel like an impossible task. I am in the same boat, 7.1. I can get into talkback settings, but can not get into the main settings to get developer options, etc. 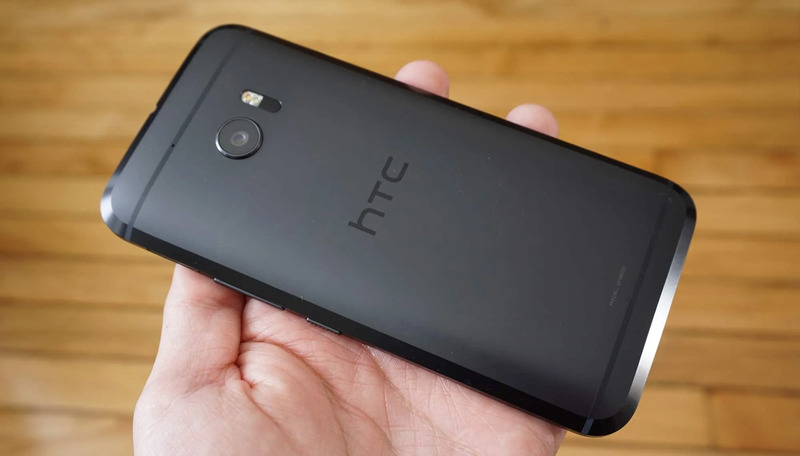 Htc ONE M9 original ROM . Unknown google id used by previous staff member I cannot get a share option from the Personal Dictionary. Handset is Locked with S-On. whats your android version ? I could not find a share option either, how did you bypass this? “Share” option doesn’t exist…… cannot go past personal dictionary edit. Which model you have ? You brighten my day reviewing your articles, you’re such a terrific writer!